Let us start with a little calculus. We would like to apply a cloud texture to our beautiful planet Earth in our super cool solar system demo. The texture that we have is a 1539K size jpg file with a resolution of 4096 x 2048. As we wish to obtain a transparent effect, we will load the RGBA float which is one of the available formats in Demoniak3D. The question is: what is the size occupied by the texture in the graphics card memory? With the RGBA Float format, each canal is coded onto a float. The float is a classic means for designating a real number. A float is 4 bytes in size. Therefore a pixel or even better, a texel (texture element) is coded on 4 x 4 = 16 bytes. Finally, the entire texture will occupy 4096 x 2048 x 16 = 134317728 bytes, that is to say about 128 Mb... On a standard 3D card, equipped with a graphics memory of 128 Mb, this is rather large. More especially if the graphic memory is not entirely reserved for stocking textures (for more precision concerning this last assertion, look at the respective graphics controller tutorial: Graphics Controllers). S3TC has been the standard for the compression of texture for quite a while. The term S3TC signifies S3 Texture Compression. S3TC is an algorithm for compression which possesses a number of variations, better known under the names of DXT1, DXT3 and DXT5. S3TC defines a class of algorithms for hardware compression and more especially for decompression hardware. In order to be able to benefit from this, it is imperative that the graphics card supports S3TC compression. To check this, a rapid look at HardwareInfos will inform us. The card supports S3TC if, in the list 'OpenGL GPU Capabilities', one finds [+]S3TC. Another way of verifying is to show the list of OpenGL extensions (OpenGL Extensions List button) and to find the extension GL_EXT_texture_compression_s3tc. Generally, a card supporting the S3TC in OpenGL, will also support it in Direct3D. But what does the texture compression really offer us? The obvious benefit that texture compression provides is that a given amount of texture data can be stored using much less memory, which may attain a ratio of 1 to 10. S3TC texture compression allows more and larger (more detailed) textures to be stored in a smaller memory area and, at the same time, significantly decreases the bandwidth required to access them, which is the real strength of compressed texture files: loading is direct. There are no more long processes for texture file decoding and conversion into the best adapted pixel format for using it. The standard file format for stocking compressed textures is the DDS format. 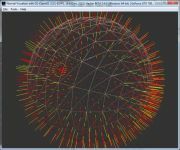 DDS comes from Direct Draw Surface and bears its name very well because the content of a DDS file is the direct copy (the name of the file format excepted) of the texture contained in the graphic controller memory. This explains the rapidity of the DDS file loading, even for high resolution textures (4096 x 2048 for example). Another advantage is the presence, in the texture file, of mipmaps. Mipmaps are copies of the base texture (which are also part of the set of mipmaps), but for which the dimensions are successively divided by 2. If the base texture (or mipmap 0) is size 2048x1024, the mipmaps (mipmaps 1 to n) will have the following sizes: 1024x512, 512x256, 256x128, 128x64, 64x32, 32x16, 16x8 and 8x4 if one generated 8 mipmaps. The term mipmapping comes from the latin expression multum in parvo (many things in a small place), permits the graphic card to automatically chose the right mipmap in consideration of the distance between the camera and the texture to be shown. The mipmapping algorithm may be resumed thus: the choice of the mipmap to be shown (0, 1, ... 8) is proportional to the distance between the camera and the texture. Mipmapping is very useful because it permits the reduction of visual defects to a large extent (noise in the texture) and diminishes the delivery time. Just that! To visualise the reduction of the visual defects load code sample 15 in Demoniak3D and compare the right and left surfaces. It is evident. The left-hand side is textured using mipmapping and the right-hand side only has a simple texture. In the DDS file, the different mipmaps are already in the right format and of course are already compressed. 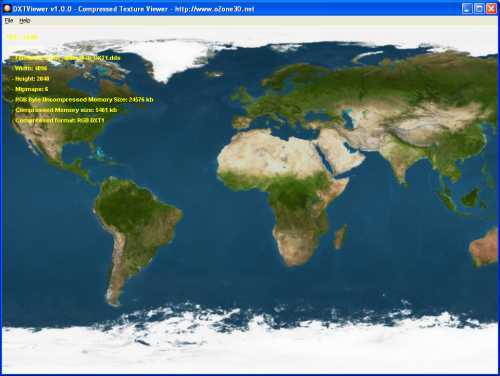 This means that the global loading time of a texture and its mipmaps is very rapid. To be convinced, make the test using the DXTViewer. 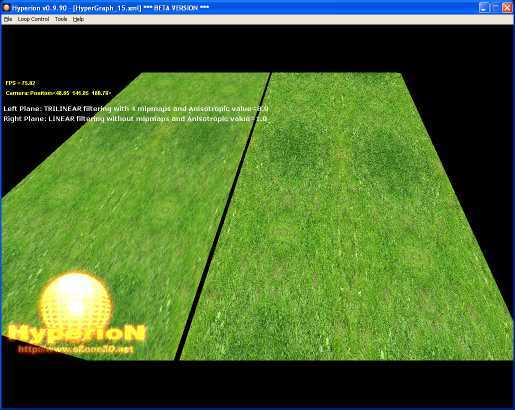 DXTViewer is a tool which allows to see compressed S3TC textures. It also lets you know whether a given graphic card supports texture compression. DXTViewer is delivered with two test textures. The first is in JPG format and the second in DDS format. First load earth_4096x2048.jpg (by simply clicking on OK in the Texture Loading Options box) and note the loading time which takes a number of seconds (between 5 and 10 sec.). Now load earth_4096x2048_DXT1.dds. The loading is practically immediate! 2 - Let us practice! Now let us see a concrete example with the elaboration of the Earth. For this, download the code sample 100 and load it into Demoniak3D. This code sample uses textures in large dimension in order to be realistic: 4096 x 2048 for the surface of the Earth and 2048 x 1024 for the clouds. 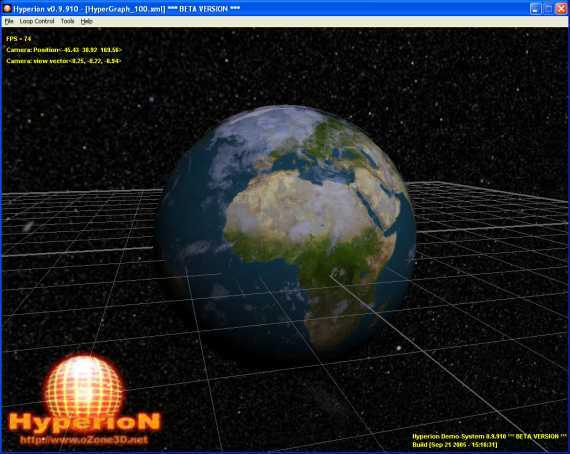 Figure 3 shows the Earth as seen from a distance, whereas figure 4 shows the Earth seen nearby. From a distance, the Earth is shown without visual defects, and from nearby the details are preserved. The aim is to have complete transparency for the black zones (alpha=0.0), to have no transparency for the very cloudy zones (alpha=1.0) and partial transparency for the zones where the cloud layer is not thick (alpha>0.0 and alpha<1.0). Seeing that we use a compressed texture format, it is not possible with Demoniak3D to dynamically modify the contents of the alpha channel. Therefore the texture must be delivered with the correctly initialised alpha channel. In order to do this, we will use the DXTViewer, which will make it possible to create this compressed texture containing correct values of an original texture file (clouds.bmp). 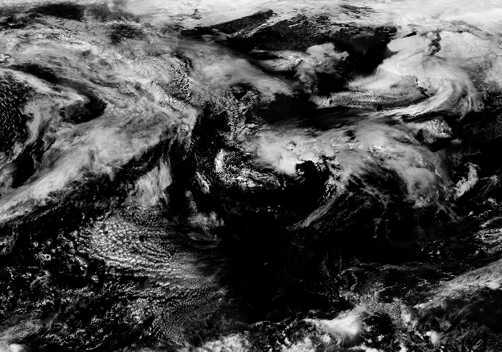 Start loading the texture clouds.bmp in the DXTViewer. 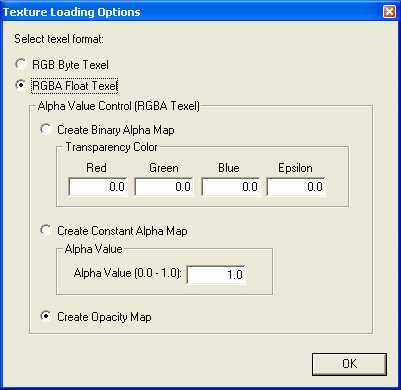 Then choose the texel format (texel = texture element) RGBA Float and choose Create Opacity Map. The latter option permits the initialisation of the value of the alpha channel as one requires. An opacity-map from the Demoniak3D point of view, is a texture whose alpha channel is the arithmetic mean of the three rgb channels. Exactly what we need! Choosing the BLENDING_FACTOR_SRC_ALPHA and BLENDING_FACTOR_ONE_MINUS_SRC_ALPHA blending factors leads to obtain this variable transparency. Refer to the following tutorial to get further explanations on how to use these blending factors: Blending. nVidia proposes a set of tools for manipulating DDS files amongst which an export plugin for Photoshop (which can also be used with PaintShopPro but I have not yet had the time to test it). This plugin is really useful for generating DDS files containing mipmaps. For example, you may choose the compression type (DXT1, DXT3 ou DXT5), or else the number of mipmaps. This set of tools is available at the following address: NVIDIA DDS PLug-in. For information, here is a table showing the size ratios of memory occupation in kilo-bytes between a compressed texture and the same, uncompressed, in the following 2 texel formats: RGB Byte et RGBA Float. On this site you will find textures in 8096x4096, but for the tests, I had to re-dimension one to 4096x2048 so that it could be loaded on the graphic card (nVidia 6600GT from Gigabyte - 128M). This 6600 supports textures having a maximum size of 4096x4096. We impatiently wait new tools supporting large size files (8096x8096) which will permit us more impressive realism! Page generated in 0.0031099319458008 seconds.